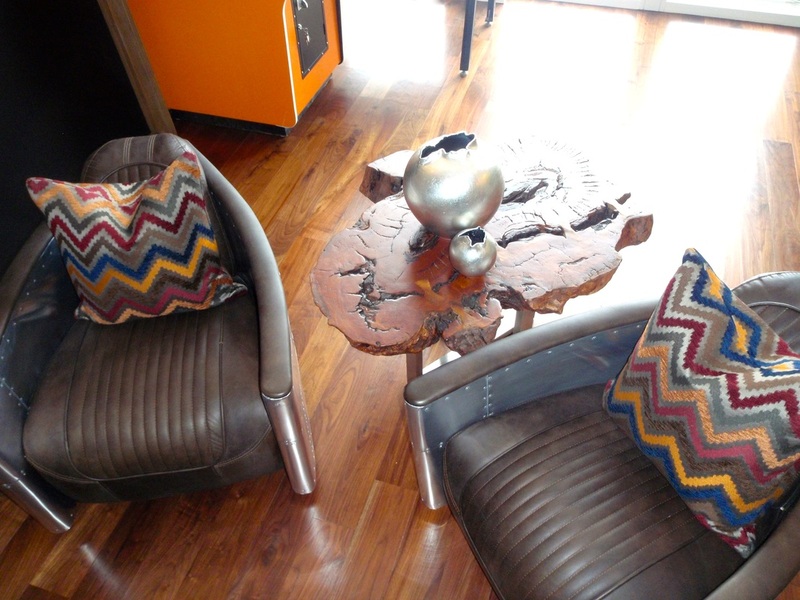 The lounge & game room is an area designed to be fun. With a fully restored Donkey Kong Junior arcade game, Baywatch Pinball machine & a vintage replica skee ball game, this room is built to entertain. 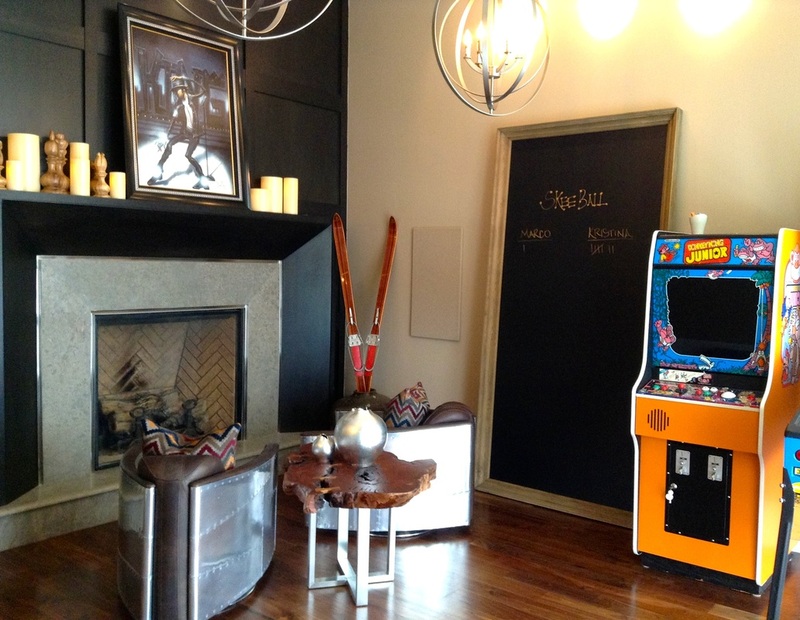 Above: The homeowner wanted a space to enjoy time with friends & enjoy their love for classic games. 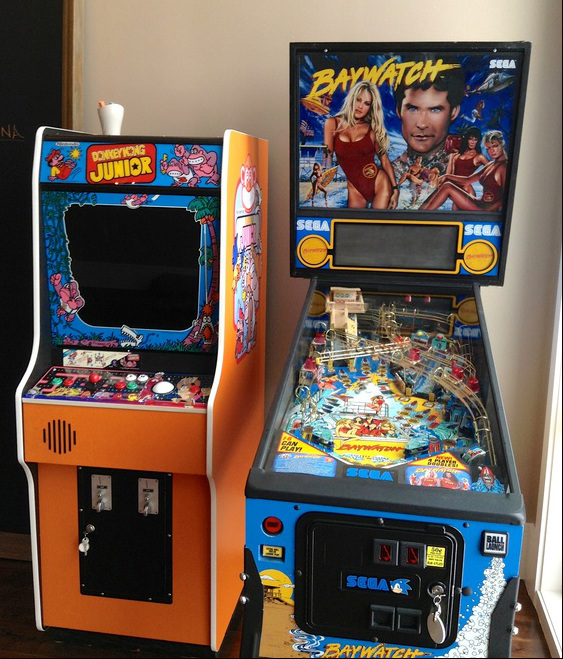 Both the Donkey Kong Junior & Baywatch pinball machine have been fully restored. A vintage replica skee ball machine sits across from the arcade games. 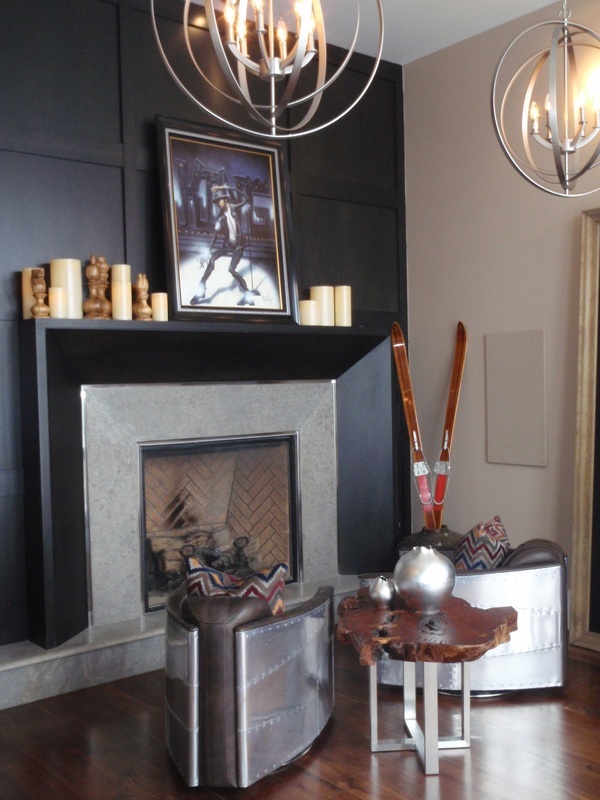 The homeowner's personal artwork sits on the mantle adding a fun & lively feel to the room. Continuing with the game theme of the room are wood oversized chest pieces on the mantle along with battery operated lit pillar candles. 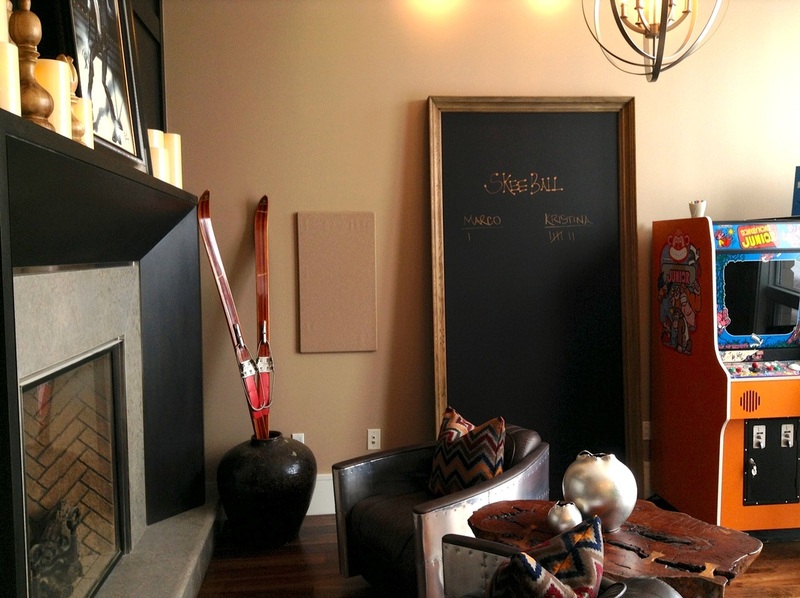 A large chalkboard sits against the wall for fun competitive score keeping.